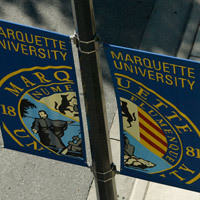 “Excellence” is exhibited in many different ways at Marquette University, including among staff and administrators. To help celebrate, and encourage, excellence among employees, Marquette University annually honors staff and administrators who exemplify excellence in the work they do. The 2014 recipients of the Excellence in University Service Awards are Michelle Raclawski, Debra Jelacic, Mitchell Gawlak and Ruzica Gajic. 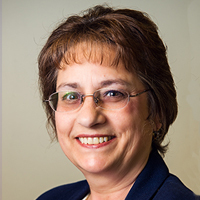 Dr. Kim Halula has served Marquette in a number of roles for more than 30 years, from director of the Dental Hygiene program to interim chair for the Physician Assistant Studies and Speech Pathology and Audiology programs. Those who nominated her note that she is always willing to tackle any job and work on any committee — an attribute Halula credits to the Jesuit tradition of cura personalis. In her time here, Mitz has developed a number of alumni engagement programs, most notably CIRCLES, a business networking program. Under Mitz’s leadership, the CIRCLES program expanded to 13 regions and 16 cities across the country, and has been recognized with awards from the Council for Advancement and Support of Education and the Jesuit Advancement Administrators. For Mitz, one of the most rewarding outcomes of this expansion is meeting alumni across the country. 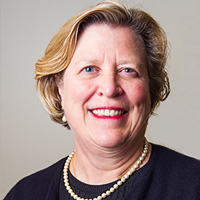 “I realize that being part of the Marquette community is special,” Mitz says. “I’ve had the opportunity on a regular basis to experience people living the mission of Marquette. This inspiration drives me to think of my work as not just a ‘job,’ but as part of my identity. As director of dental informatics, it’s no surprise that Thomas Wirtz is passionate about technology. However, his colleagues say Wirtz is more than just passionate — he’s innovative. One example of his innovation is the development of an after-hours call system. Accessing patient information after hours without violating federal Health Insurance Portability and Accountability Act (HIPAA) regulations was a major problem for the School of Dentistry. Wirtz developed a system that allowed residents to securely and easily identify after-hours callers as patients of record. Wirtz also helps out colleagues with technology issues, and according to those who nominated him, he does it with a smile and without judgment, whether it’s providing technology strategy or simply helping to embed a video into a presentation. 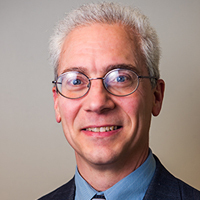 They cite his positivity and helpful demeanor as two of many reasons Wirtz is deserving of the Excellence in University Service Award. 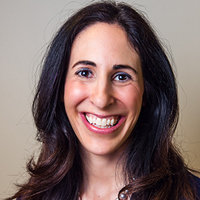 Wolak covers many responsibilities in her role as office associate, from day-to-day operations to supporting faculty and staff through grant administration, organizing conferences, proctoring exams, coordinating schedules, budgeting, and much more. She credits her colleagues with making her work exciting and interesting.